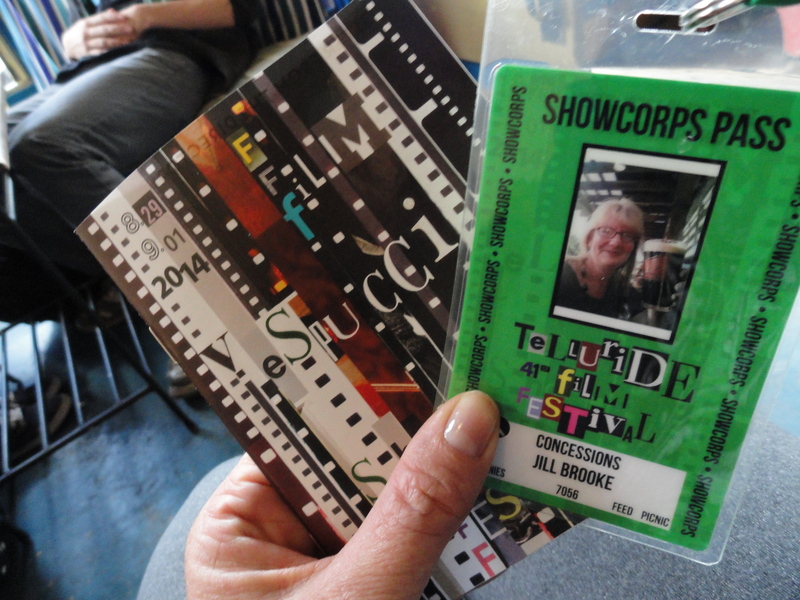 This was my first time to Telluride, CO and my first time to the Film Festival! Google Maps claimed it was 6 hours, 19 minutes from Boulder. I clocked more than 7 hours in the car. Amazingly, my ’97 Chevy Cavalier with 214,000 miles made the journey over and around the mountains pretty well. I started off at 6am with a glorious sunrise on the Flatirons and was soon climbing into the mountains. Taking I-70 to I-50 just in case my car did decide to overheat — I drove thru rain, then freezing rain near Vail (30 degrees!) and thru many tunnels. There was a lot of road construction, lovely wild sunflowers on the sides of the road and even rafters on the river! It was a strange trip traveling 70 miles an hour and having locals race around me but then slowing to 35 mph in the construction zones and over the winding roads. It was an appropriate way to celebrate my anniversary of arriving in Colorado–one year ago today!! I arrived minutes before the new staff meeting so I parked in the median (for Festival Staff only, and SOOO not meant for me) and raced into the Sheridan Opera House. Lots of newbies, many from both coasts. 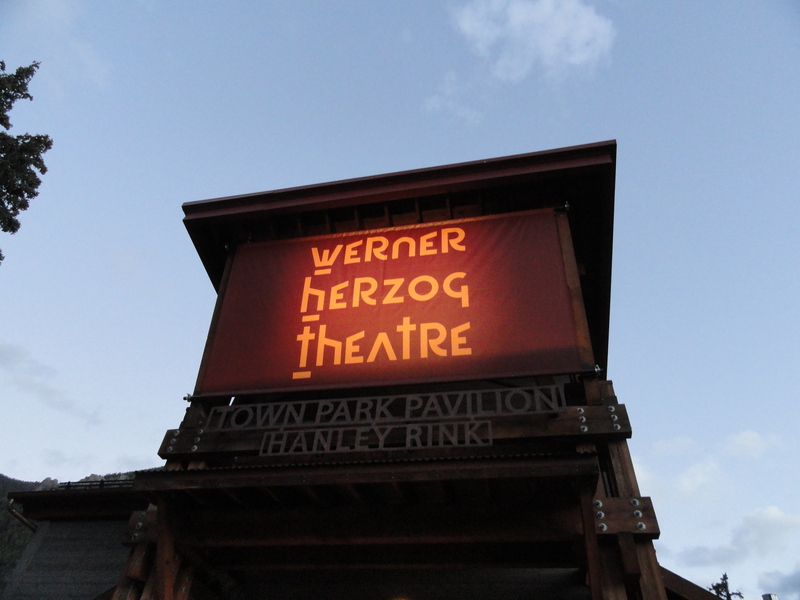 Fun to learn some of the Telluride Inscrutables: Vespucci, Brigadoon, Felix… My afternoon was soon a race from venue to car to venue to food to screening. I quickly realized that the one sweater I brought was not going to be enough. And why did I not think to bring a flashlight?! The stars are just amazing but it’s DARK here and there are BEARS! The most incongruous, but interesting moment, was hearing an EMT (and the coroner of Telluride) talk about “edibles” and how to handle any “freak outs” or overdoses. With marijuana legal in CO, there have been far too many instances of out-of-state visitors trying edible marijuana and having panic attacks or full-blown psychotic episodes! Who knew?! We all felt better informed and it’s good to know that there are safety measures in place for all sorts of emergencies here–even hazmat teams for accidental (or purposeful) use of bear spray. 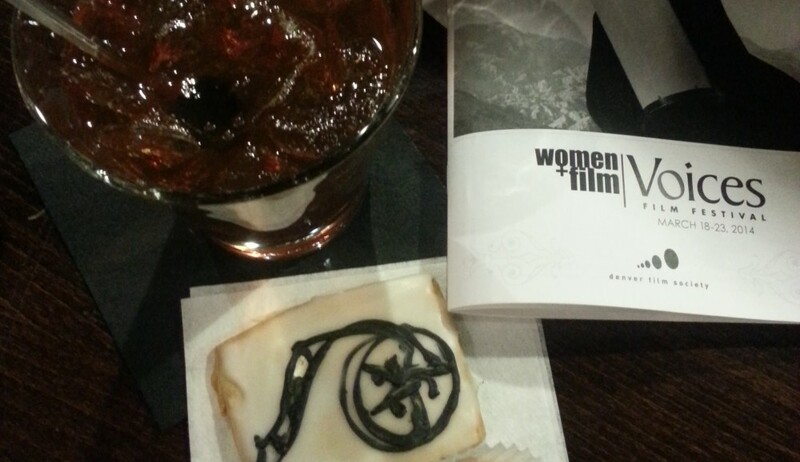 The staff screening was Birdman directed by Alejancro Inarritu. I really enjoyed it — a unique soundtrack of percussion and an unusual blending of stage and screen; surreal and fantastic! There are some believable and heart-felt performances by Edward Norton, Emma Stone and a remarkable performance from an actor who’s not been on the big screen in a long while: Michael Keaton! A feel-good film about fame, family and truth-telling, Birdman is a wonder of cinematography and editing! Inarritu cast the film in such a way as to play with audience’s perceptions of the actor’s and their previous roles and reputations. There were multiple levels of meaning in having a former “Batman” playing an action hero (“Birdman”) in need of a come-back role. The film has an ending that can be seen as a dream or derided as too-Hollywood-feel-good and some may feel over-whelmed by the shifts in tone and flights of fancy. To me, it felt as if it was left for personal interpretation and I look forward to discussing it with you! Rating: 3 highballs–but not to be consumed on stage! 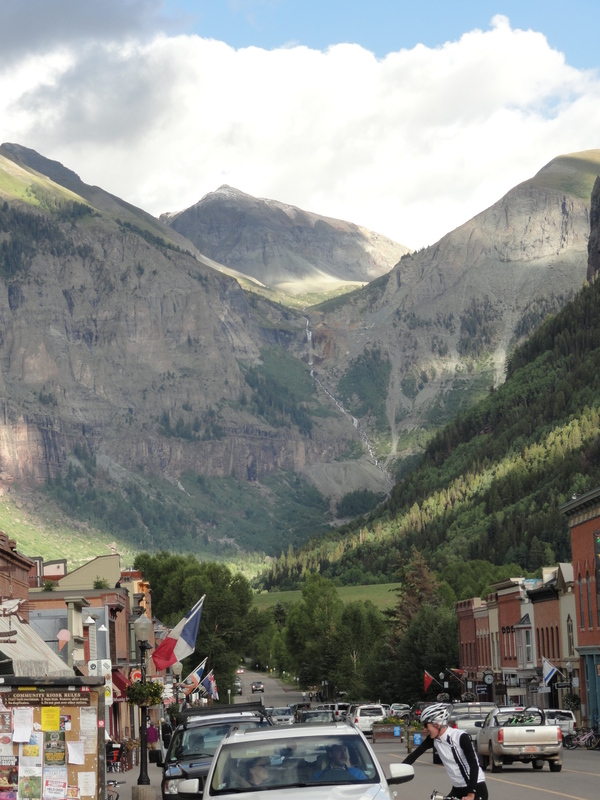 Things to bring to Telluride on YOUR visit: warm clothes, sunscreen, hiking shoes, a flash light — if at all possible, come up a day early to acclimate and enjoy the scenery! A place to stay in-town is preferable to driving 40-minutes on winding, elk-infested mountain roads to stay in Rico…even if it’s way cheaper!